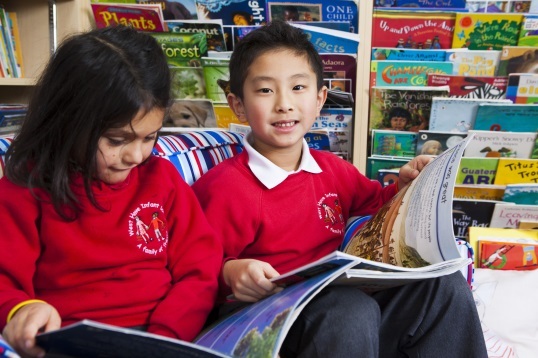 At West Hove Infant School we aim to nurture in the children a love of literature and language and the confidence to continue reading and writing throughout their lives. Children have access to a wide range of fiction and non-fiction books, as well as books which are sorted into colour coded bands, and are expected to read and share stories daily. They will be supported to read regularly throughout the day through all subjects and are taught not only to decode text but also to interpret and understand it. Guided reading sessions happen daily in every class and year group. All children have a Reading Diary which parents / carers can complete to show that their child has read or shared a book at home. We deploy teaching support staff and parent volunteers to support with reading in school. In addition, we run an intervention programme for those children who need extra ‘catch-up’ support. Phonics is a way of teaching children to read and write. It is the ability to hear, identify, and manipulate sounds and understand the link between the sound (phoneme) and the way it is written (grapheme). 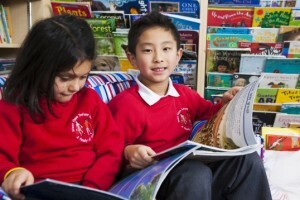 We teach children to apply phonic knowledge as a first approach to reading. At West Hove Infant School we teach phonics through high quality, systematic daily lessons with a range of opportunities for children to practise and apply their learning. We follow the Letters and Sounds programme, supplemented by Jolly phonics resources, actions and songs. Letters and Sounds is a phonics programme in which individual letters or letter sounds are ‘blended’ to form groups of letters or sounds, and those groups are then blended to form complete words. Children in Year One undertake a national Phonics screening check in June. This is carried out by the child’s class teacher in a quiet and informal manner so that your child feels comfortable and relaxed. If your child does not meet the required standard the school puts into place interventions to support them at home and at school. They are then asked to re-take the Check in Year 2.